Before I hiked the Inca Trail, I naturally did the modern thing and consulted the font of wisdom that is the Internet. Quite a few sites talked about the cardiovascular challenge of the trail, the risk of altitude sickness, etc. Before I hiked the trail, though, I didn’t appreciate how helpful resistance training would have been. This is generally accurate, but an over-simplification. Day 1 was definitely a good warm-up for everybody, but naturally some people that live their lives near sea level were already starting to have issues with the altitude. The problem with Day 2 isn’t the climbing it involves — it’s that the climbing is relentless. 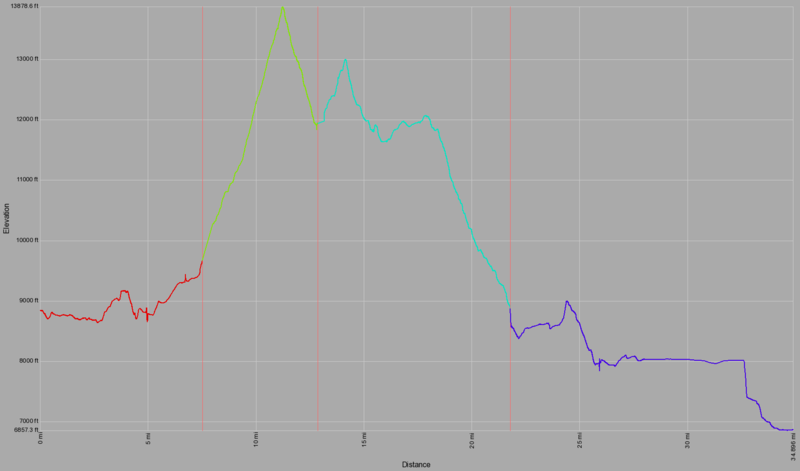 I’m used to high-altitude hikes in Colorado, and even the up-hill parts of trails tend to have level stretches, and an occasional down-hill bit. These allow you to keep moving while not under load, so your leg muscles can clear out the lactic acid that normally builds up in them during strenuous exercise. Day 2 of the Inca Trail starts out climbing, and the climbing doesn’t stop until about 5 hours later — there are no significant level stretches, no downhill ones either. So if you’re moving forward, you’re climbing — until you get to the pass. Imagine climbing stairs for 5 hours straight, with no landings. Day 3 also starts out climbing, but the climbing is over quickly (and has one scenery stop and several level stretches in the middle of it). Oh, and lots of great scenery this day to distract you from any muscles / joints still sore from Day 2. Day 4 is mostly non-challenging, except for one particularly ugly stretch. I’ll be writing up posts with photographs from the trail soon, but thought this information would be useful to help set the scene for you first. 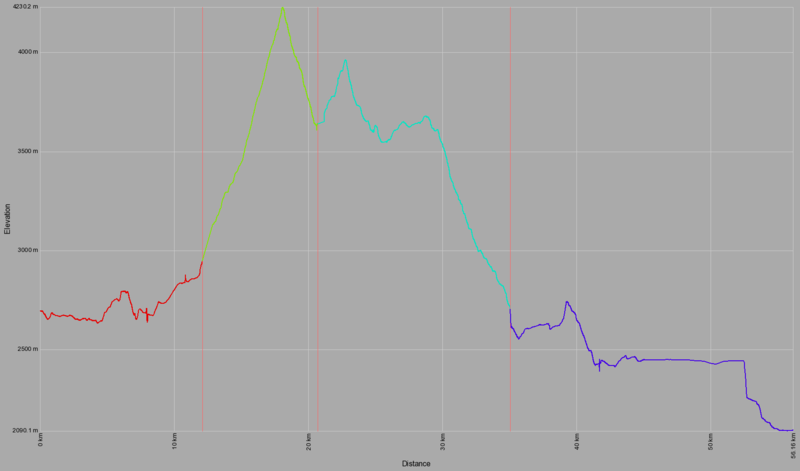 This entry was posted in Essays, Reviews, and How-tos and tagged data, hiking, Inca Trail, Peru, plot by Eric. Bookmark the permalink.